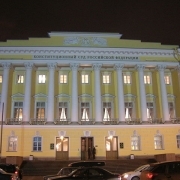 The Russian Constitutional Court ruled Thursday that the restriction of foreign ownership of media is legal. The court upheld a law restricting foreign ownership of media to twenty percent. The court also ordered lawmakers to make certain portions of the bill clearer. 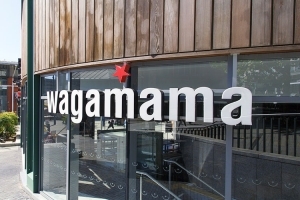 Slaughter and May, Latham & Watkins and Linklaters have been drafted in to advise on The Restaurant Group’s planned acquisition of pan-Asian food chain Wagamama’s. 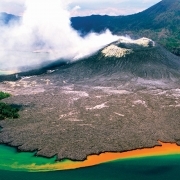 Despite its abundance of oil, minerals and renewable resources, Papua New Guinea is considered one of the more challenging frontier markets to invest and operate in due to its climate of social and political upheaval. But this has not scared off international interest, which has only grown in recent years, including within the legal sector. International firms are beginning to set up footholds in the island nation’s capital, and they see a bright future ahead. As the host the 2018 APEC Summit this month, all eyes will be on Papua New Guinea, but that is not the only reason the island nation has gained international attention of late. Australia, China, and the U.S. have locked horns over PNG’s sought-after telecommunication infrastructure contract, and mining and energy projects continue to beckon interest and financial investment from around the globe. The island country, located in the Southwestern Pacific Ocean, has also cautiously played the political game, forging diplomatic relations around the region, while developing its debt markets and setting the scene for future growth. The market’s maturing also means more work for the increasingly visible legal sector. In the past few years, international law firms started to proliferate in the capital Port Moresby (population 400,000). In 2016, Norton Rose Fulbright opened an office there and the following year, Australia’s Corrs Chambers Westgarth followed suit. In September this year, Ashurst moved to new premises in Port Moresby. 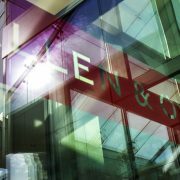 And Australia’s Allens, which is an independent partnership working in alliance with Linklaters, remains a key player. 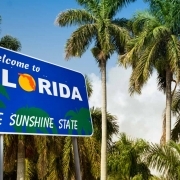 Baker McKenzie is set to open its third support centre in Florida as it kickstarts a business services overhaul. The service roles that will be based in Tampa, Florida, include legal services, finance, IT, knowledge management, operations, business development, marketing and communications, and talent. The new office is expected to employ 300 people and will be fully operational at the beginning of 2020. The announcement of a new service office comes just weeks after Bakers revealed it was launching a consultation over business service roles in the London office, which will begin at the end of the month. 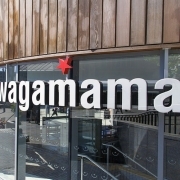 The firm stated that the three-year reorganisation will form a “dual-track” approach – first assessing the professional and business services teams globally and then looking at investments in new capabilities and technologies, which are intended to “modernise, simplify and enhance the quality of services” the firm provides. Other firms to have concluded business services consultations include Ashurst, Pinsent Masons and Hogan Lovells. Jamie Lawless will be the new executive director for the Tampa centre, having previously served as director of implementation and chief operating officer of Baker McKenzie’s Washington DC and New York offices. Bakers will be the largest global law firm to establish operations in Tampa. The firm already has back office operations in Manila, which opened in 2000 and Belfast, which opened in 2014. Over the summer, Bakers added 150 new roles to its Belfast centre after securing extra space in the city. A building for the Tampa support centre has not yet been decided. 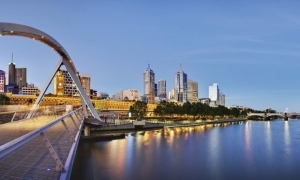 James Crowe joins the Melbourne office as a partner specializing in mergers and acquisitions. He will also help with the firm’s technology-related products and services. National personal injury firm Shine Lawyers has acquired a boutique class actions firm that it says makes it the “second largest player” by number of cases in Australia. ACA Lawyers has been acquired by Shine, effective 1 October 2018, marking the first such acquisition by the latter since 2015, according to Shine Corporate managing director Simon Morrison. “ACA Lawyers is a Sydney-based firm with several shareholder class actions in progress. All actions are funded by litigation funders,” Mr Morrison explained. Mr Allsopp – who is a principal of ACA – added that joining Shine provides a “great opportunity” to leverage the skillsets of ACA’s class action teams. “It is the next step for us in continuing to develop an industry-leading class actions practice,” he posited. Speaking further about the acquisition, Shine national special counsel for class actions Jan Saddler said that Mr Allsopp and his ACA team “perfectly complement” the Shine class actions practice and will “enhance and strengthen our already high-performing team”. 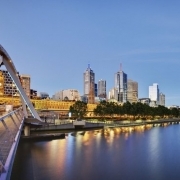 “We now have one of the broadest class actions practices in Australia, including many high-profile shareholder, product liability, financial services and environmental actions,” she said. Gibson Dunn & Crutcher is advising Facebook in the ongoing probe into its data protection breaches, as it faces a £500,000 fine from the Information Commissioner’s Office (ICO). Co-chair of the firm’s international arbitration practice group, dispute resolution partner Penny Madden is leading for Facebook in London, following a report by the ICO that claims the social media giant broke data protection law when it allowed millions of users’ data to be accessed by consultancy Cambridge Analytica. The scanty but “symbolic” £500,000 fine is the highest penalty possible under the pre-General Data Protection Regulation rules that apply in this case. In April, The Lawyer reported that four firms had launched a case against Facebook and Cambridge Analytica, which threatened damages of more than $70bn. Squire Patton Boggs is understood to have been advising Cambridge Analytica. The firms were made up of London-based McCue & Partners, Washington DC firm Fields Law, technology and competition firm RuyakCherian, and Delaware-based Cross & Simon. They filed a a joint lawsuit on behalf of US and UK Facebook users in the District Court of Delaware against a number of defendants. RuyakCherian managing partner Robert Ruyak commented that: “Facebook utterly failed in its duty and promise to secure the personal information of millions of its users, and, when aware that this stolen information was aimed against its owners, it failed to take appropriate action. “Facebook must be held responsible for failing to protect its users’ personal information. We must also make certain that organisations like Cambridge Analytica and their benefactors – the Mercer family and Steve Bannon – are held accountable for this egregious theft and misuse and cannot further exploit it”. 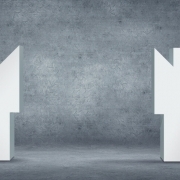 Prior to Gibson Dunn’s latest partner promotions round, Madden was only one out of two female partners in the London office, out of a total partnership headcount of 28. In November last year, two more female lawyers made the grade – finance lawyer Amy Kennedy and antitrust lawyer Deirdre Taylor. Herbert Smith Freehills energy partner Anna Howell also joined the firm in January this year, as the US firm’s first London-based oil and gas partner. 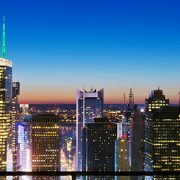 Allen & Overy has strengthened its M&A practice in New York with the hire of a partner from Shearman & Sterling’s corporate practice. Stephen Besen joins the magic circle firm after 17 years at Shearman & Sterling, further bolstering its US M&A practice. Besen began his legal career in 1983 at Weil Gotshal & Manges. At the beginning of April, A&O re-appointed corporate partner Paul Burns after he left in 2007 to take on a number of in-house counsel roles, including leading Novartis’ pharmaceutical business as general counsel. Earlier this year, Shearman embarked on a leadership overhaul, electing global managing partner David Beveridge as senior partner and global head of M&A George Casey and global head of litigation Adam Hakki as co-managing partners. The firm’s London leadership was also reshuffled, as the firm selected new office managing partner Matthew Readings to take over from Nick Buckworth, who had been in the role for seven years. The Lawyer reported this week that A&O is the most prolific magic circle firm to advise on global public M&A bids so far this year, according to figures from Thomson Reuters. The firm is involved in 116 deals totalling $278bn, with the spike in its ranking largely due to the firm acting as 21st Century Fox’s main adviser in the ongoing battle for Sky. Davis Polk & Wardwell is the most globally active M&A adviser, tallying 75 deals worth $367bn. Richard Browne, global co-head of A&O’s corporate practice said: “Stephen has built an impressive M&A practice with considerable cross-border experience that fits very well with our global and U.S. M&A strategies. His depth of experience and insight is a great fit for our international practice and a significant addition for our clients”.